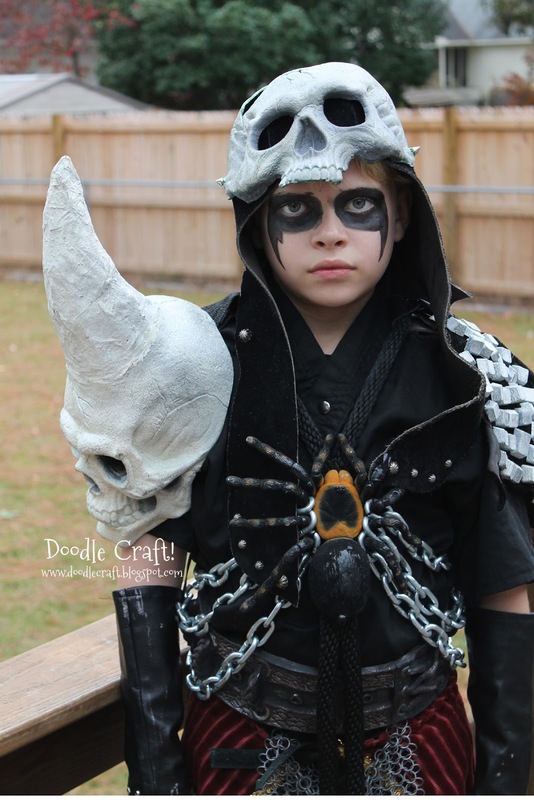 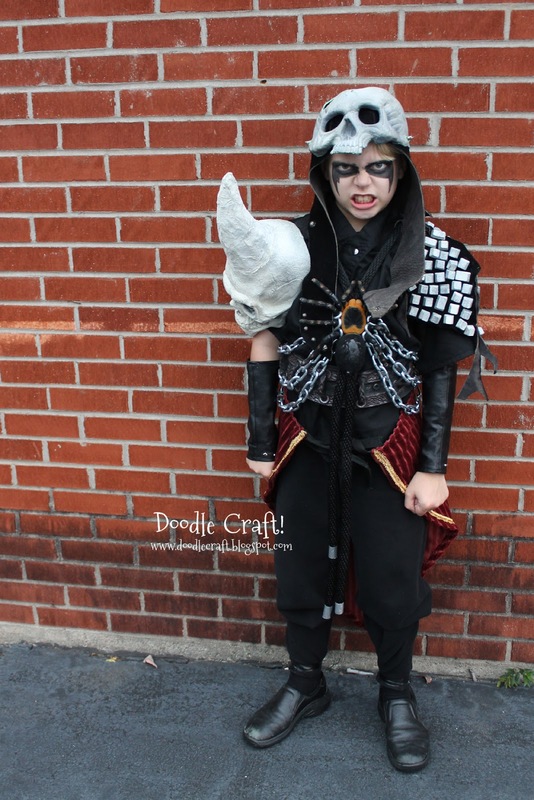 Doodlecraft: Diablo 2 Necromancer Costume! 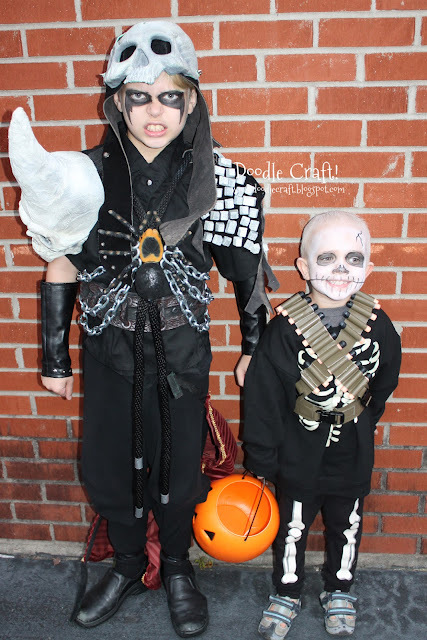 We love Diablo 2 (and 3) video games! 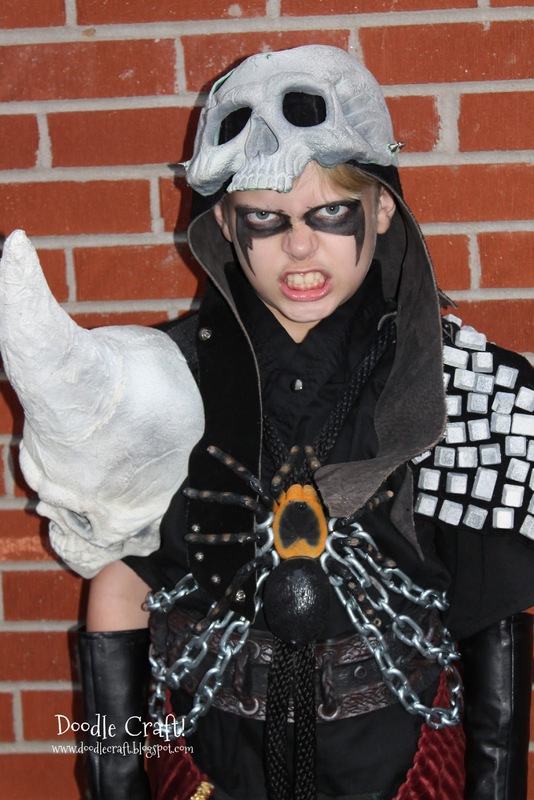 And we have a 10 year old boy who wanted needs a cool costume! 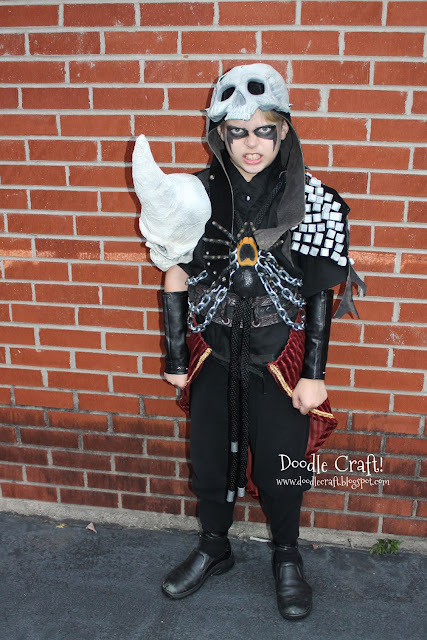 This is the Necromancer from Diablo 2.
so we based the costume off our favorite elements! 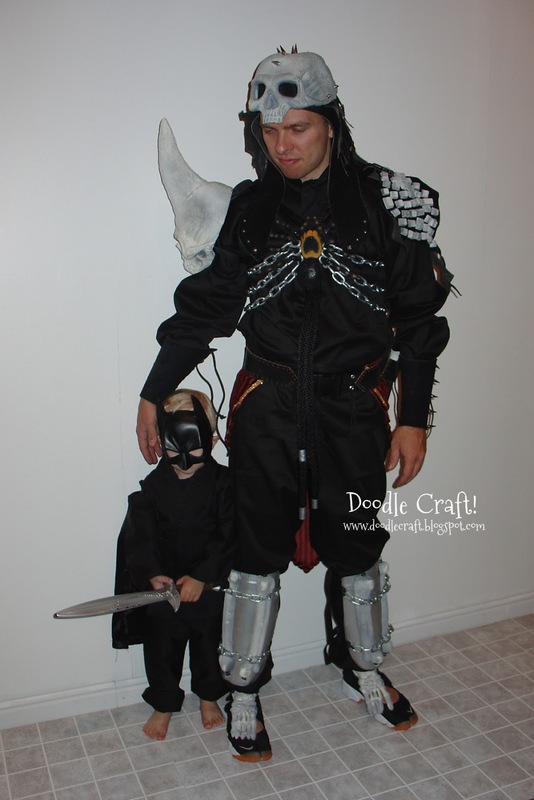 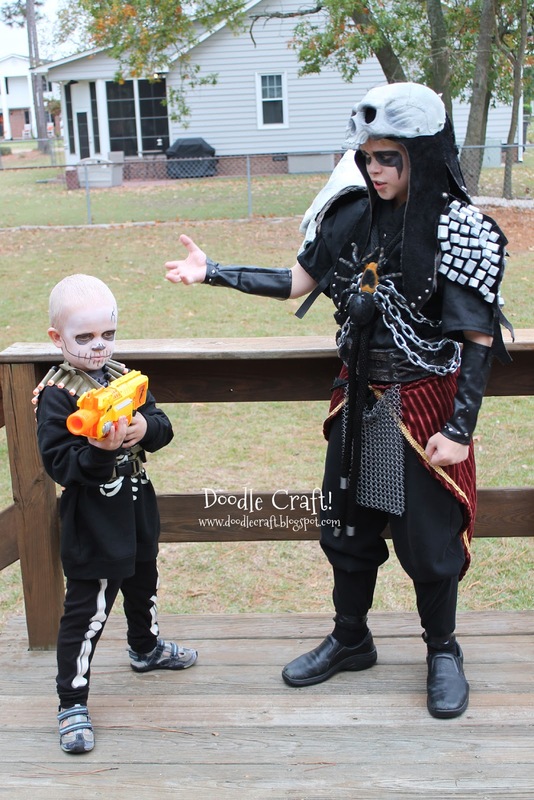 Here he is with his little skeleton warrior minion! It was a hit then! And now our son is big enough to wear it! Perfect Halloween Costume for the video game player!